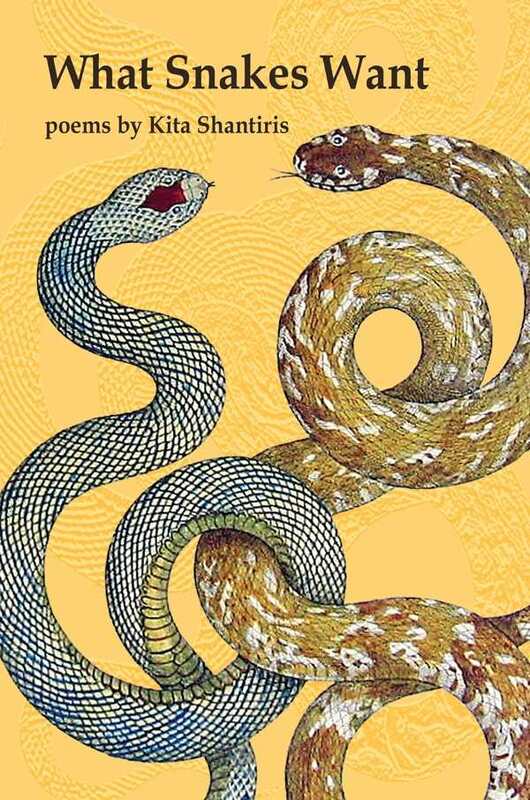 Slyly sensual, intense and funny, in What Snakes Want Kita Shantiris strips secrets of their power by telling them. She explores the trauma, yearning, and recklessness so common to our search for love with compassion and humor. This fearless collection begins with the work it takes to find abiding love and ends with elegies that breathe life into the dead. With startling imagery, Shantiris’ poems reverberate far beyond the page. You will return to these haunting poems again and again.